Three hospitals and a school were hit in air strikes in northern Syria, killing 23 people. Syrian government forces are believed to be behind the bombing. Turkey squarely blamed Russia. It is yet another bloody chapter of the horror story called Syria. Before we know it the media will relegate this terrorist attack to the backburner. If established that Russia was behind this attack (not that Moscow would ever own up to it), it would confirm that Putin will use any indiscriminate measures to give his good friend Assad a helping hand to defeat the rebels, at the cost of innocent civilians. As much as no stone should be left unturned to wipe out Isis from the face of the earth, we need to question who has killed most civilians in Syria. According to the Syria Network for Human Rights, in 2015 the Assad forces killed 15,748 people, 12,044 of whom were civilians. Isis was reportedly responsible for the deaths of 2,098 people, which included 1,366 civilians, while Nusra Front, an al Qaeda affiliate, was responsible for at least 167 deaths. Just because Assad and the Russians aren’t resorting to the more spectacular executions associated with Isis, it doesn’t mean they aren't guilty as charged. Because Putin is flexing his muscles in a country with no media presence does not give us the right to pick on those fleeing from the bombs. Seventy years after the end of the Second World War, we are once again bowing before the altar of hate because we choose not to inform ourselves. We choose to read the diatribe circulated on Facebook without checking the sources, provided it fuels our theory that we need to protect European civilisation from Muslims. 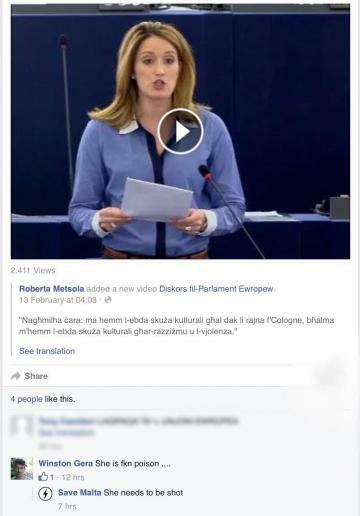 In Malta, a l-Orizzont journalist was threatened because he chose to adopt two black children, a Valletta priest was ridiculed because he called for empathy towards refugees and this morning MEP Roberta Metsola received a death threat after her speech on asylum seekers. The Facebook threats against Roberta Metsola. We associate ourselves with neo-Nazi groups like Pegida, we are voting in right-wingers to lead European countries, threatening the very core of an EU born out of the ashes of World War Two. Seventy five years ago, Hitler sold his lies that the Jews were responsible for Germany's downfall in the First World War and all of its subsequent troubles. Thousands of refugees were marched to their deaths. Fast forward to today and hear EU leaders, tens of thousands of us blaming refugees for all their troubles. We let the foreign criminals who molested women in Cologne on New Year’s Eve force us to believe that every dark-skinned man has left the comfort of countries like Syria and Iraq to defile European women. Yes, some Muslims are terrorists, the same way some American Christians terrorised their country when they unloaded their guns on innocent children. 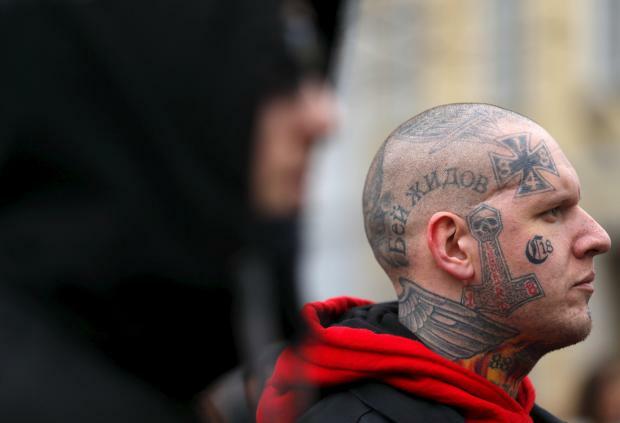 In our sorry quest to blame migrants for all the world’s ills we seem to forget the real enemy lurking within Europe: the far-right, the neo-Nazis who believe in white supremacy… the cretins busy spewing their hate on social media who think racism is free speech. We are building walls and in the process creating ghettos and pushing asylum seekers to a dangerous corner. And in the process we are playing right in the hands of Isis, who yearn for the clash of civilisations. Indeed, history has taught us nothing.